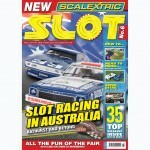 SLOT magazine issue 006 is now out in stores. We asked which articles you like best and which are the most useful. SLOT magazine at the Nuremberg Toyfair. These are the pictures we didn’t have room for in the magazine. 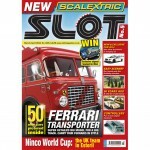 We want to help you get the articles you want in SLOT magazine and also to help get the cars and other items you really want made by the manufacturers who can do it. Well we enjoyed Sunday’s event, it was great to see so many readers. We even gained new ones, so welcome aboard. 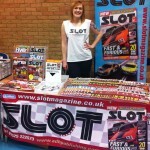 SLOT magazine issue 005 is now out in stores.